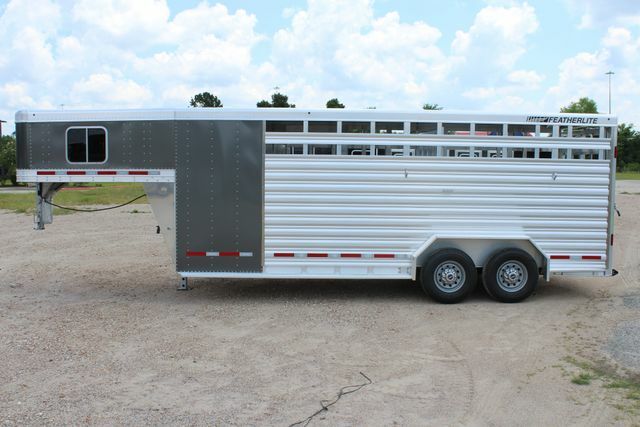 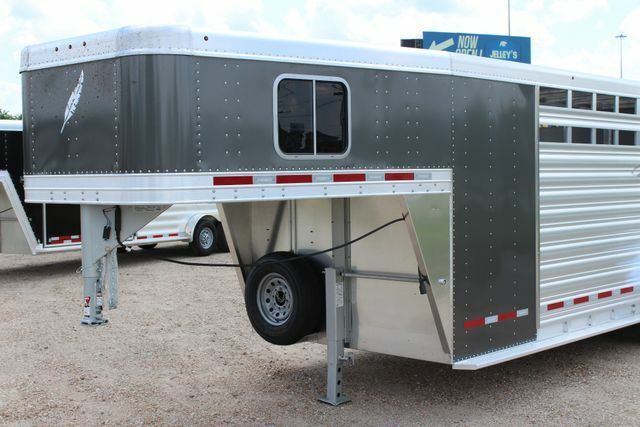 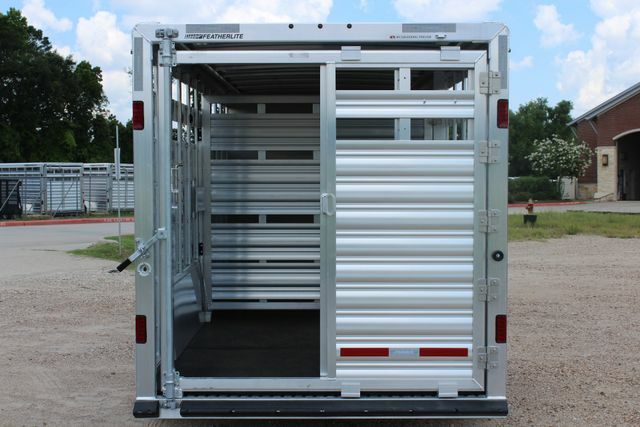 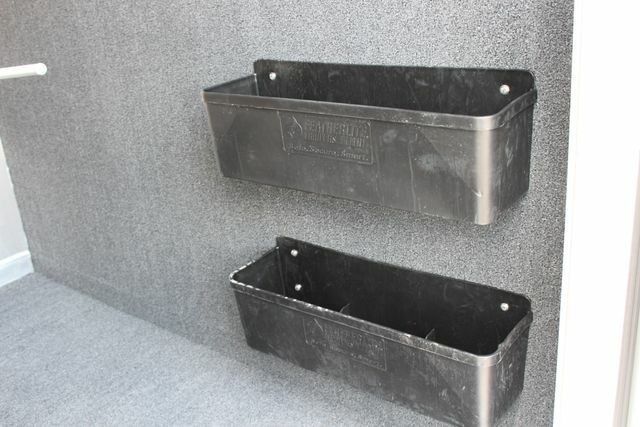 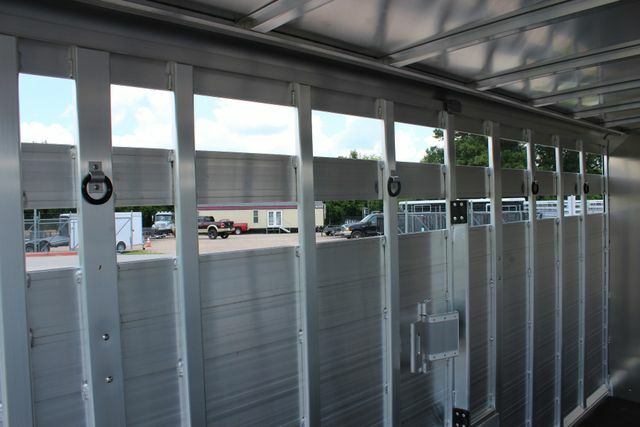 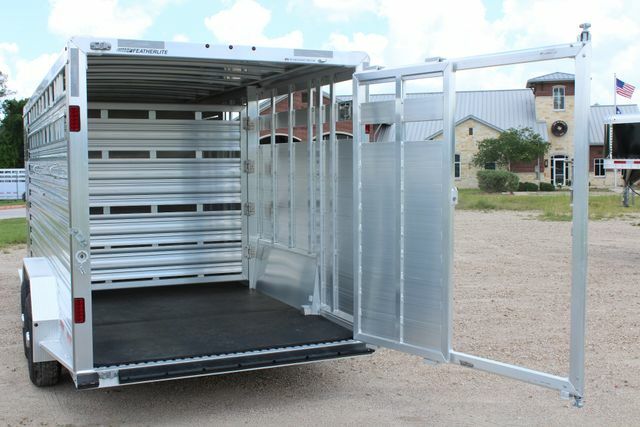 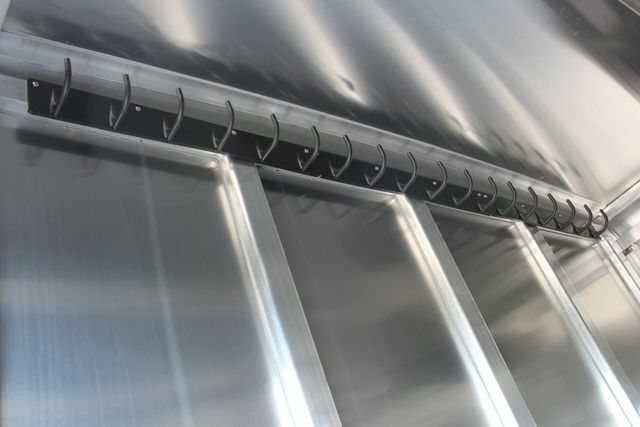 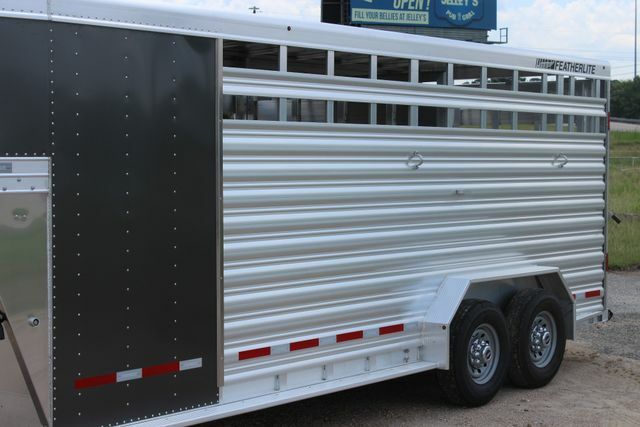 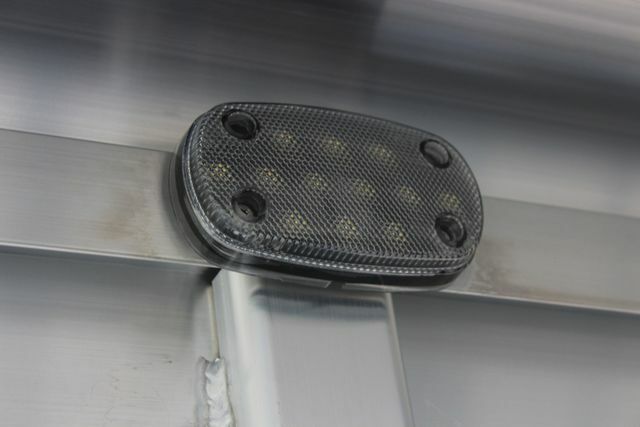 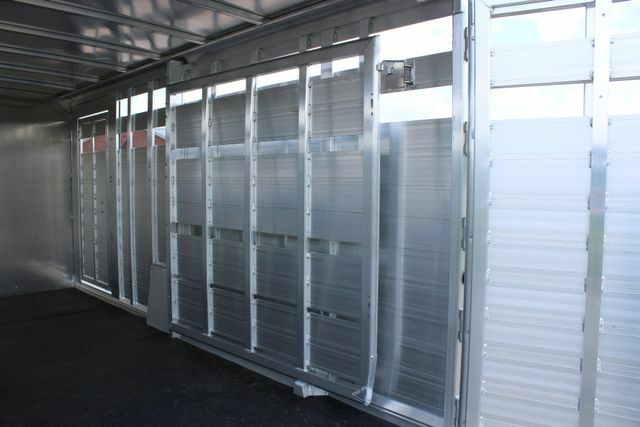 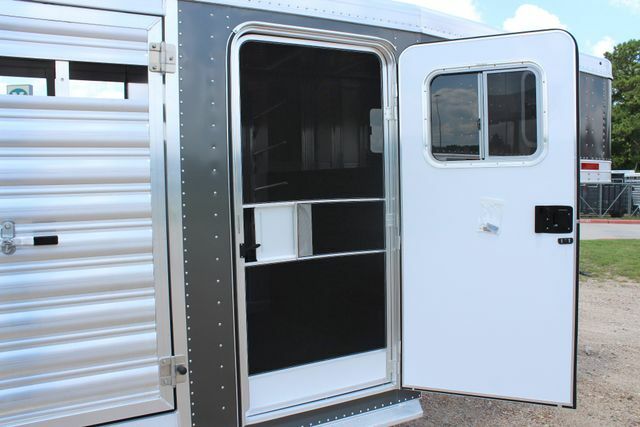 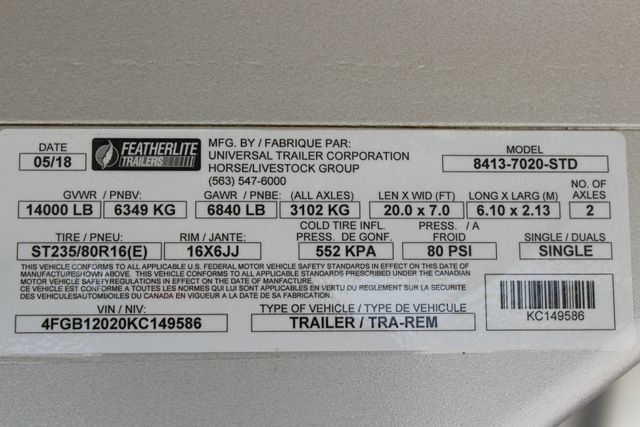 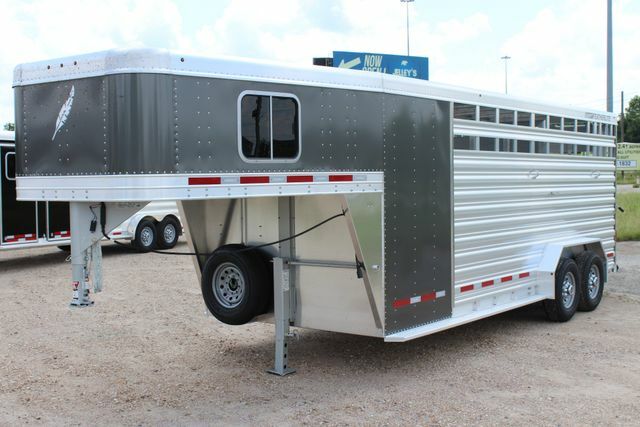 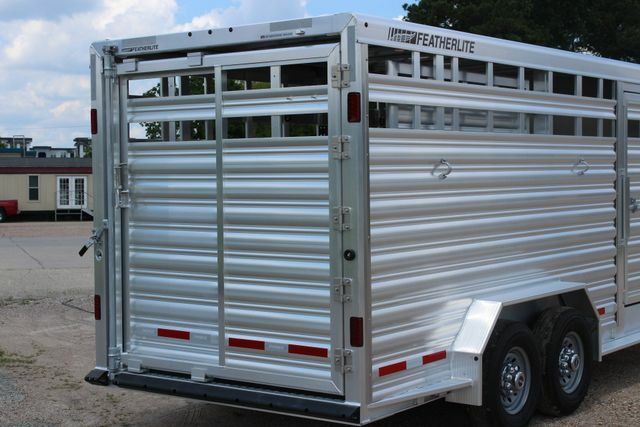 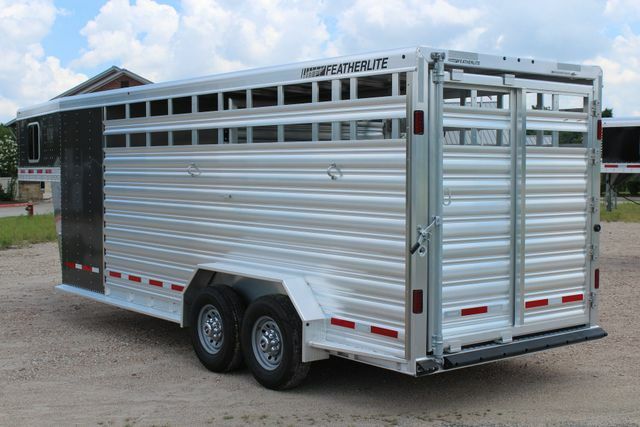 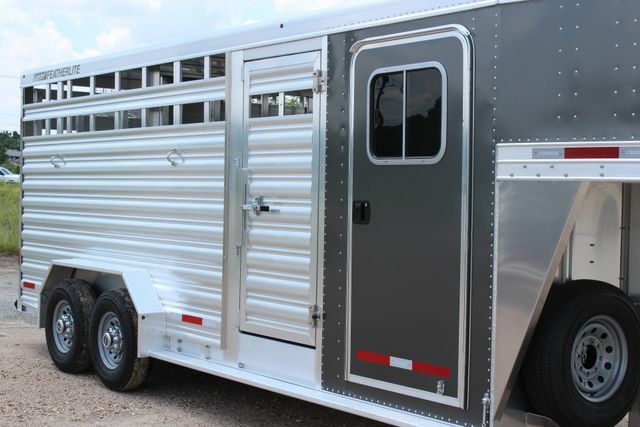 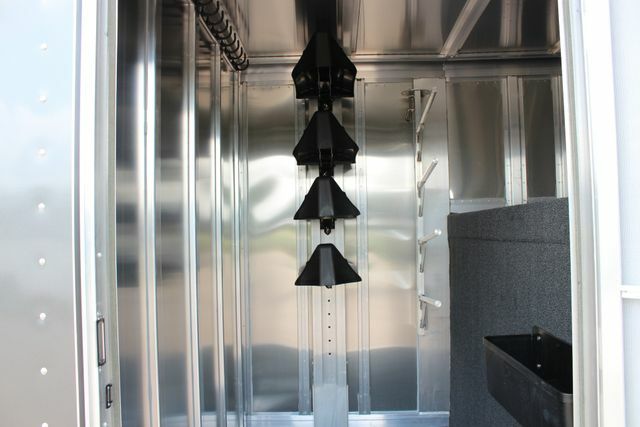 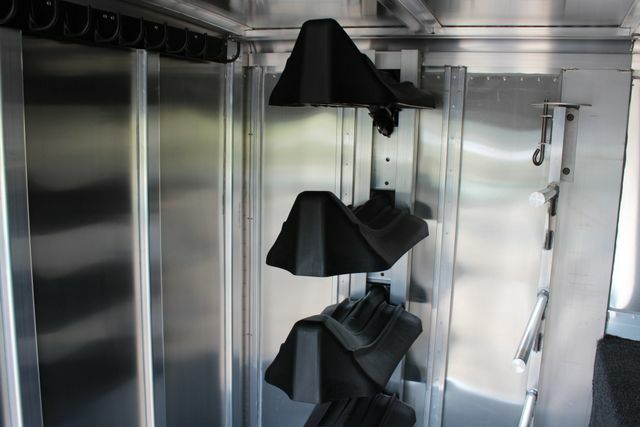 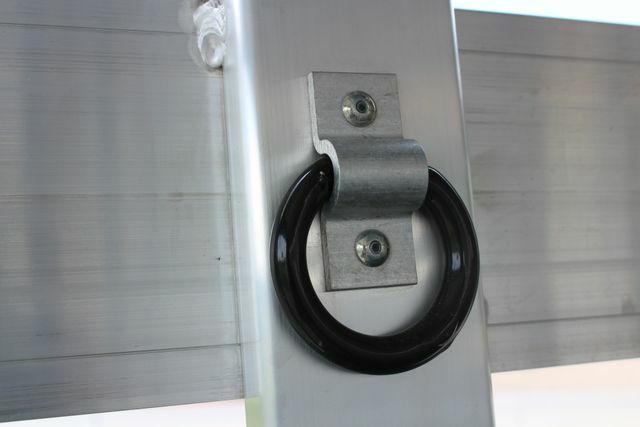 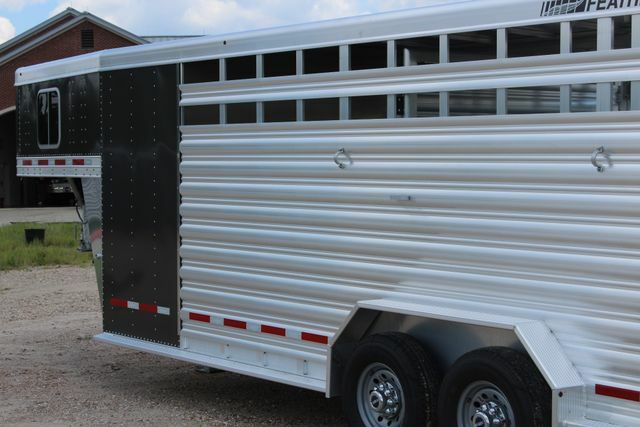 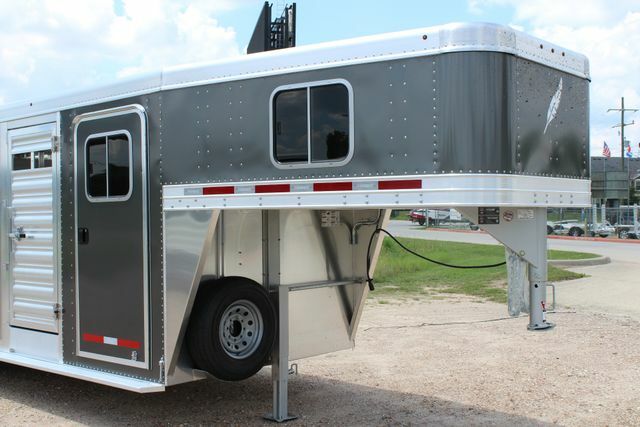 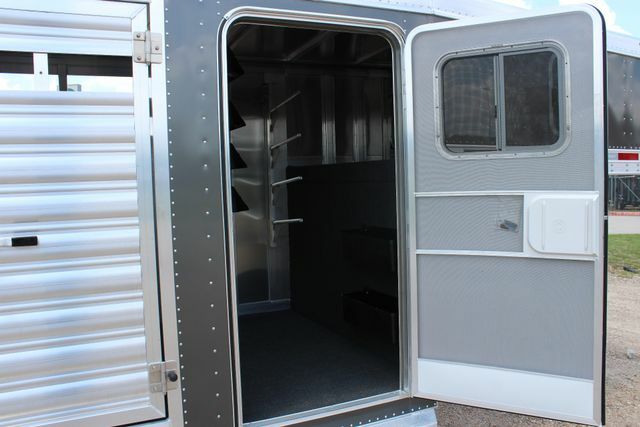 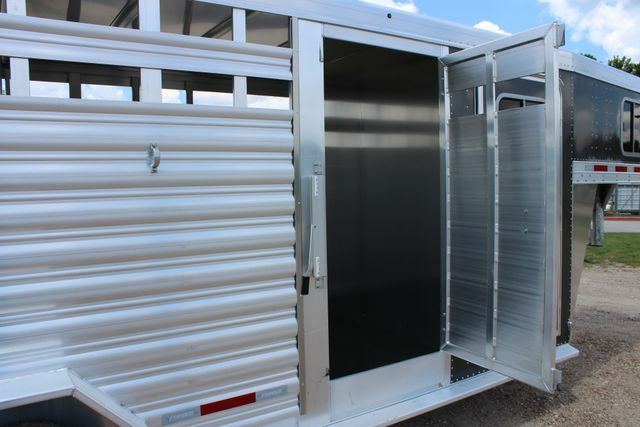 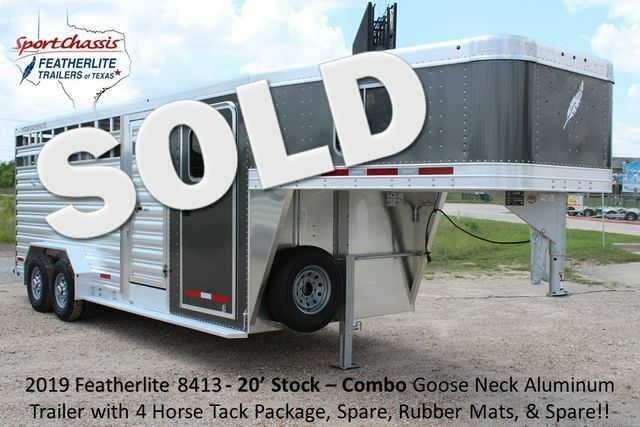 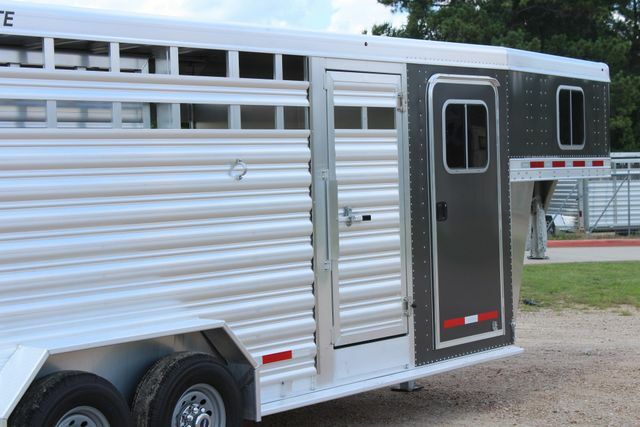 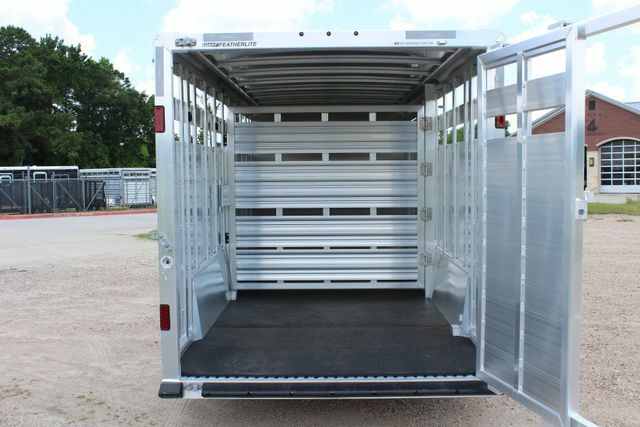 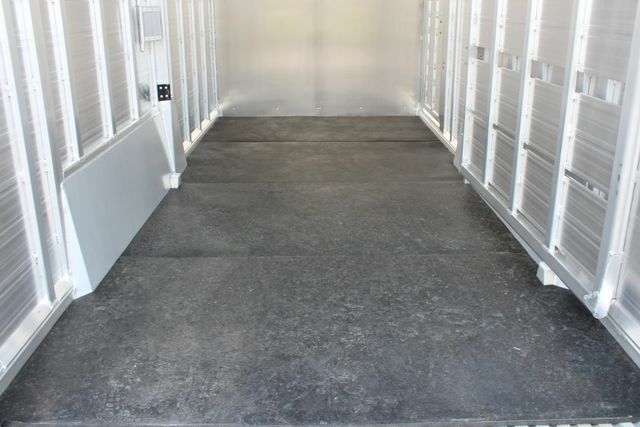 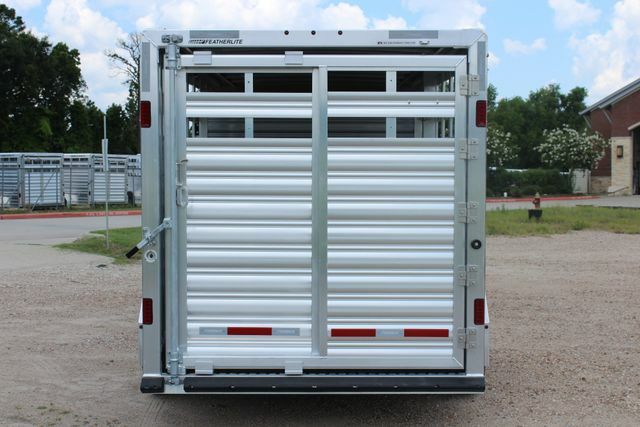 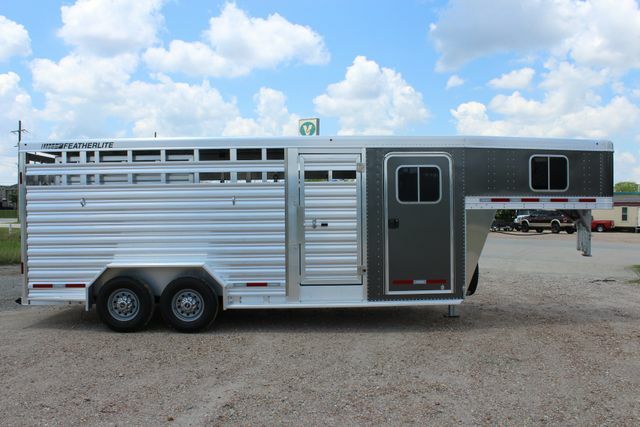 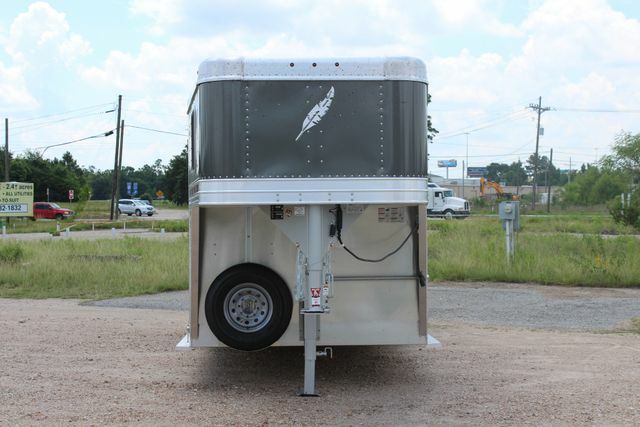 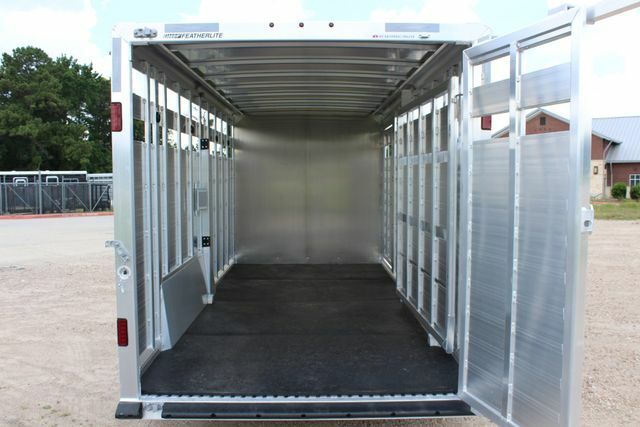 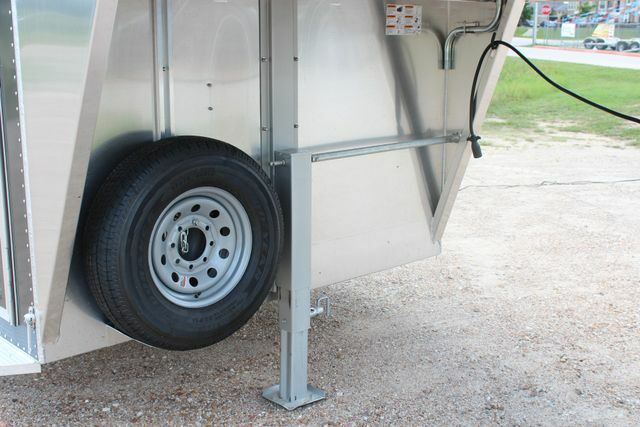 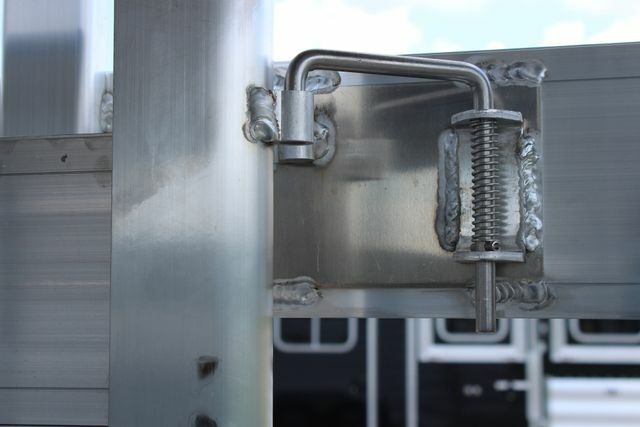 You are considering a brand new, unregistered 2019 FEATHERLITE 8413 Stock - Combo 20' Goose Neck Aluminum Trailer. 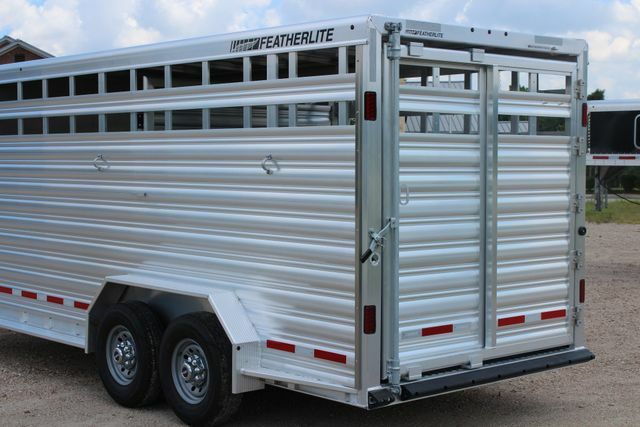 FEATHERLITE Installed Features & Options: Combo package 7'0"wide x 7'0"high x 20'0"long with straight wall, Adjustable Gooseneck coupler, Dexter 7.0K tandem axle rubber torsion, Easy-Lube style axle, Electric brakes at each hub, LED exterior light package, LED interior dome lights, Side panel with 2 top air spaces, Aluminum floor, Full swing rear gate with lockable inside slider, 3/4" rubber horse mats, Four interior tie rings, Four exterior tie rings, Cross members spaced 12" on center priced per foot, 36" x 74" camper door to tack room with window/ deadbolt & screen door, Four horse tack package (incl. 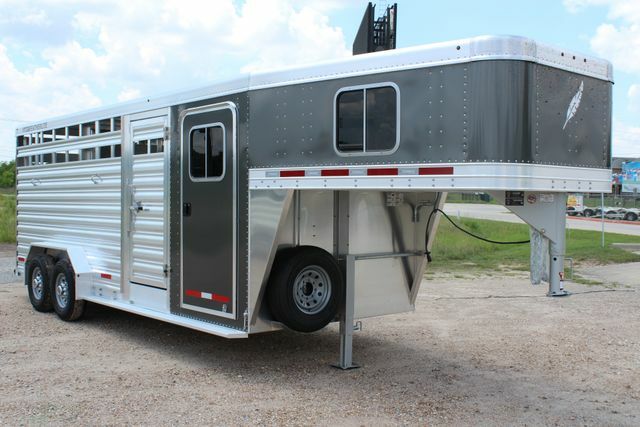 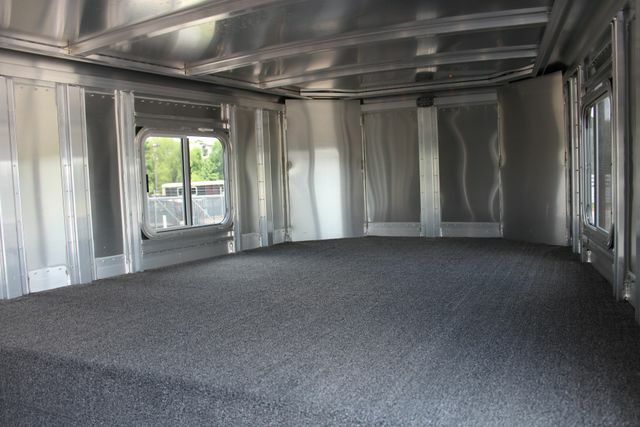 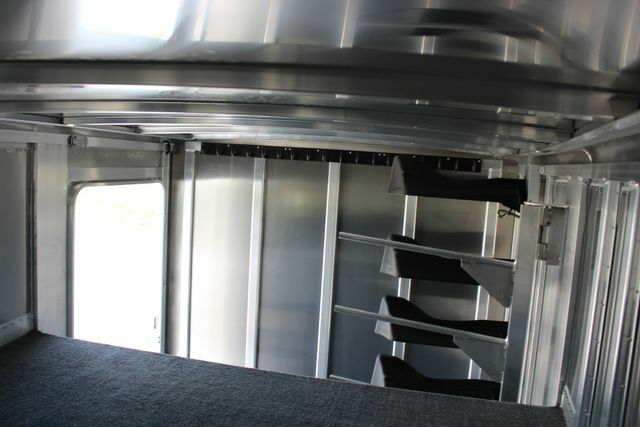 height adj saddle racks x4, 2 brush trays, blanket bar), Carpet/ turf on floor/ GN floor, Smoked glass windows throughout trailer, Charcoal painted front sheets, Rear rubber bumper dock, Cross members spaced 12" on center, Matching spare tire, Goodyear ST235/ 80 R16 & 8-hole silver MOD wheels & hub covers.